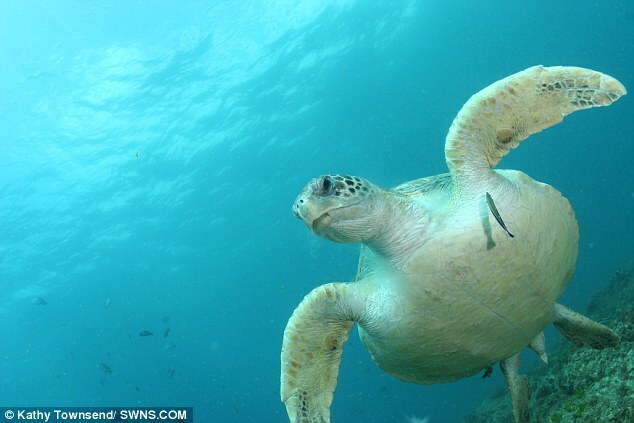 Plastic is killing 40 per cent of young sea turtles, shocking new research has shown. 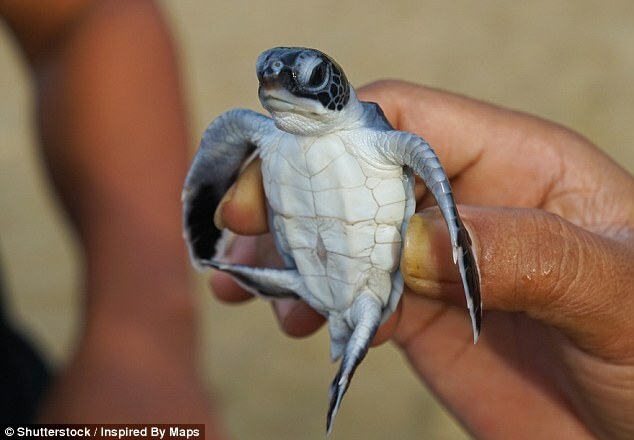 Baby turtles are almost four times more likely to be killed by ingesting plastic waste compared to adults. Not only do these animals have weaker bodies, but they also feed in offshore waters closer to the surface, which are more likely to be contaminated with large plastic items that can accumulate in their digestive tracts. Post mortems on almost 1,000 dead turtles found more than half of the babies – and about a quarter of juveniles – had swallowed plastic, compared to just one in seven adults. The study looked at species including loggerheads, green turtles, leatherbacks, hawksbills, Kemp’s ridleys Olive ridleys and flatbacks. Scientists discovered between one to 329 individual pieces of plastic ingested by the turtles in the study. The maximum weight of the plastic was 10.41g (0.4 ounces). There was a 50 per cent probability of death once the animal had just 14 pieces of plastic in its gut, according to scientists. The study, which is the first of its kind, was led by scientists from the Commonwealth Scientific and Industrial Research Organisation in Hobart, Tasmania. It sheds fresh light on the risk plastic pollution poses to the world’s declining sea turtle population, who often mistake rubbish dumped in the ocean for food. This can range from six pack rings from canned drinks to discarded fishing gear. 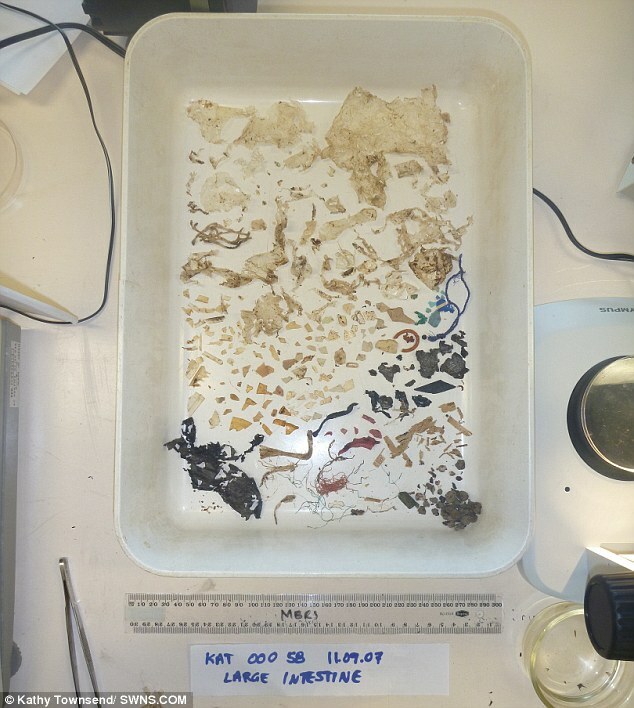 Corresponding author Dr Denise Hardesty, of the Commonwealth Scientific and Industrial Research Organisation said: ‘The accumulation and persistence of plastic debris in the marine environment is of increasing concern. ‘An estimated 4.8 to 12.7 million metric tonnes of plastic debris entered the world’s oceans from land-based sources in 2010 alone, with this input likely to increase exponentially into the future. She said that although entanglement can have devastating effects, particularly when it involves fishing gear, ingestion of man-made debris is of increasing concern. Her team examined data from 952 autopsies on sea turtles washed-up on the coast of Queensland since 1992. Their research confirmed fears plastic was disproportionately affecting younger generations – especially babies. Species looked at included loggerheads, green turtles, leatherbacks, hawksbills, Kemp’s ridleys Olive ridleys and flatbacks. They found 54 per cent of post hatchlings and 23 per cent of juveniles had eaten plastic, compared to 16 per cent of adults. WHAT ARE THE LATEST PREDICTIONS FOR THE FUTURE IMPACT OF OCEAN WASTE? The amount of plastic in the oceans is expected to triple in just ten years, a report issued by the UK government in March 2018 warned. This key environmental problem risks being ‘out of sight, out of mind’ with more known about the surface of Mars and the Moon than the deep sea bed, it added. The toll of plastic pollution in the sea could be 150million tonnes by 2025 – treble the 50million tonnes estimated in 2015. Our oceans store carbon dioxide and heat while producing oxygen and food, the Foresight Future of the Sea Report stressed. On the growing blight of plastic pollution, the document warned this will leave a physical presence, accumulating on coasts or in particular areas of ocean. The report also warned plastic litter on coasts can increase the risk of dangerous bacteria in the water, such as E.coli. It said efforts to reduce plastic pollution should focus on stopping it entering the sea, developing new biodegradable materials and public awareness campaigns. The amount of plastic in the turtles’ digestive tracts also varied depending on their cause of death. Those that had died from unknown causes, which acted as a statistical control group, had consumed the smallest amounts followed by those that had been hit by boats or had drowned. Crucially, those confirmed to have died from plastic ingestion had eaten the most – underlining its threat to sea turtles and other marine life. Dr Hardesty said: ‘Animals dying of known causes unrelated to plastic ingestion had less plastic in their gut than those that died of either indeterminate causes or due to plastic ingestion directly – such as gut impaction and perforation. The findings, published in Scientific Reports, show feeding location and life history stage may impact the turtles’ risk of dying. Sea turtles were among the first animals recorded to consume plastic debris, a phenomenon that ‘occurs in every region of the world and in all seven marine turtle species’. 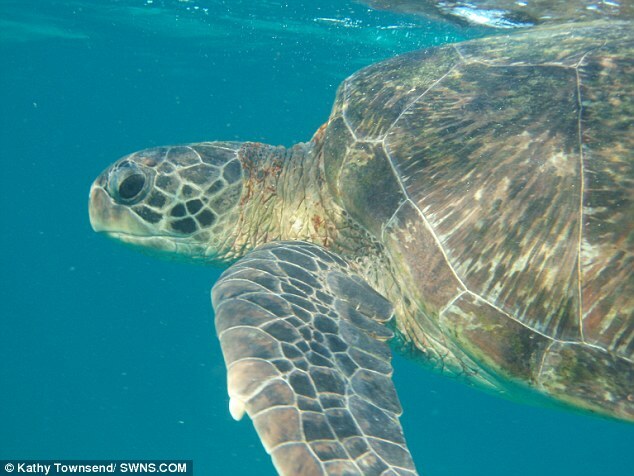 She said: ‘Globally, it is estimated that approximately 52 per cent of all sea turtles have ingested plastic debris. ‘Plastic in the marine environment is a growing environmental issue. The study has implications for all marine life from seabirds and fish to mammals and a range of invertebrates, including corals. Dr Hardesty said: ‘Nearly 700 species are now known to interact with manmade debris and as more species are investigated, the number continues to rise. Last year, University of Exeter researchers found over 1,000 sea turtles are killed every year from plastic waste in the oceans and on beaches.